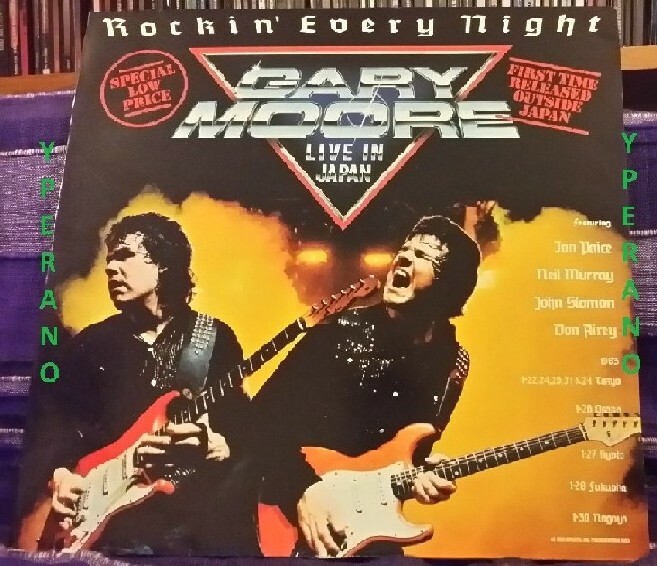 “Rockin’ Every Night (Live In Japan)” originally released in 1986, is live album by Gary Moore, recorded in Japan. All songs by Gary Moore except as noted. 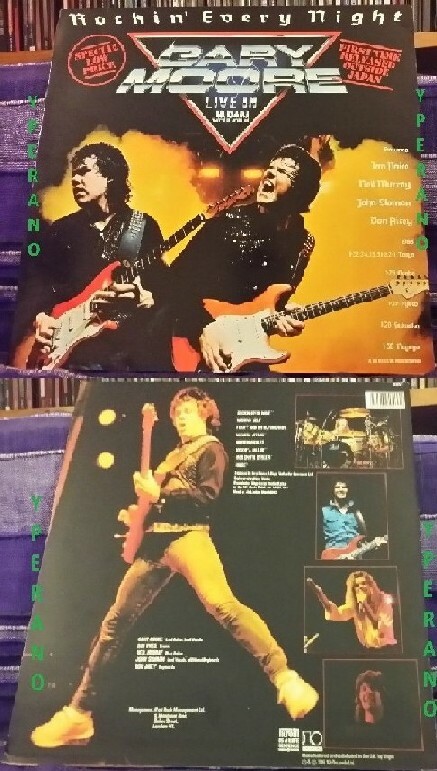 Rockin’ Every Night Live in Japan is a live album recorded by Gary Moore at Tokyos Shinjuku Kousei Nenkin Hall in 1983, during the Corridors of Power tour. Despite being released in Japan in 1983, it was not given a European release until 1986. The song “Sunset”, which had been a staple of Moore’s live set-list since 1980 – despite not appearing in studio form until 1982, when it surfaced on Cozy Powell’s Tilt album in 1982 – is dedicated to the late Randy Rhoads, who had died several months prior. 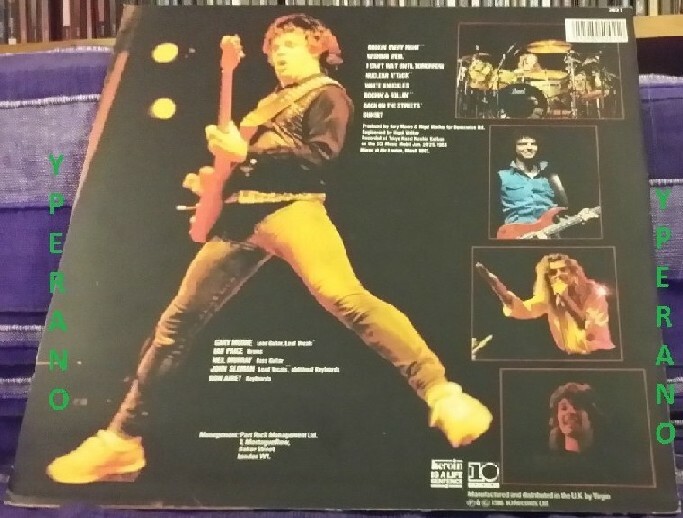 Keyboardist Don Airey had previously recorded and performed with Rhoads in Ozzy Osbourne’s backing band. Recorded on the Corridors Of Power tour, Rockin’ Every Night : Live in Japan is a hard-hitting selection with exceptional guitar playing. With ex-Lone Star singer John Sloman sharing lead vocals, Gary was on fantastic form – some of his solos are incendiary and the pace only really lets up with “Sunset” (an instrumental found on Cozy Powell’s album Tilt). Highly recommended if you like the heavier side of Gary’s hard rock phase. Gary Moore is probably the artist whom I saw playing live most often. In his hard rock phase he was as good as anyone in the world, and when he played songs like The Loner he was breathtakingly good. If you want to give your ears another real treat, try the Back on the Streets album too, and hear guitar playing as good as it gets. A GREAT LIVE ALBUM FROM AN OLD MASTER DURING HIS HEAVY ROCK ERA.THE SONG DEDICATED TO RANDY RHODES IS A MASTERPIECE. I love this record cause this one is the best of Gary Moore’s live record album!!!!!!!!! Ian Paice is playing great and the song “I can’t wait until tomorrow” is unbelievable!!!! 5.0 out of 5 stars Gary plays his heart out as usual!! This is Gary in his pre-blues phase still rocking out in a BIG way. As usual the guitar playing is immaculate and I would recommend anyone who only knows the blues to check out his earlier albums. The very last track is sunset’ a tribute to the late Randy Rhodes who had just died. Here is 100% proof why Gary is one of the best Guitar players in the world. Truly beautiful. This theme actually appears briefly on his new tape. Listen closely and enjoy! 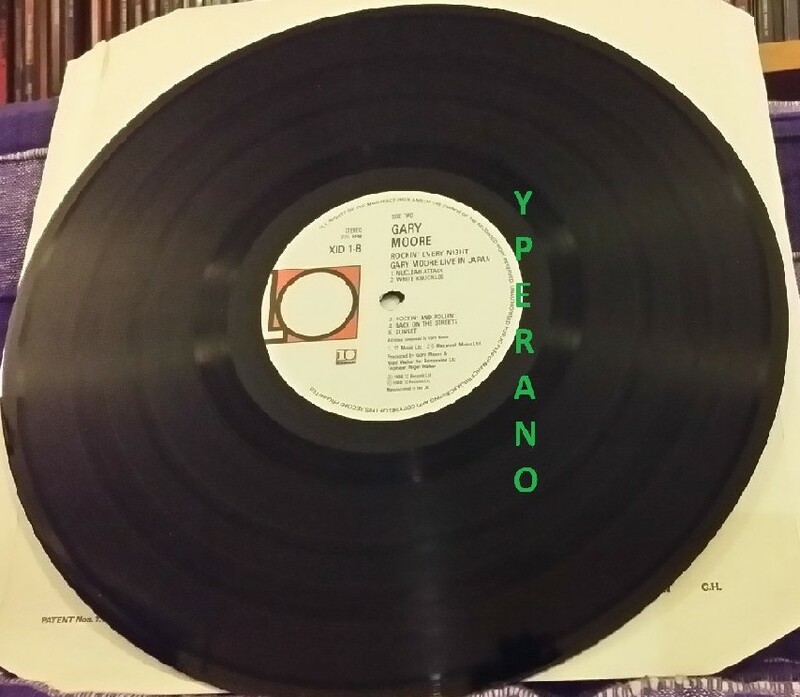 SKU: YP-34 Categories: All Genres, Hard Rock, Heavy Metal, Search by Media Type, 12 "